Prof. Katherine Kim and graduate students Hyunji Lee and Kyoungjun Kwon attended IFEEC 2017-ECCE Asia in Kaohsiung, Taiwan, on June 3-7, 2017. 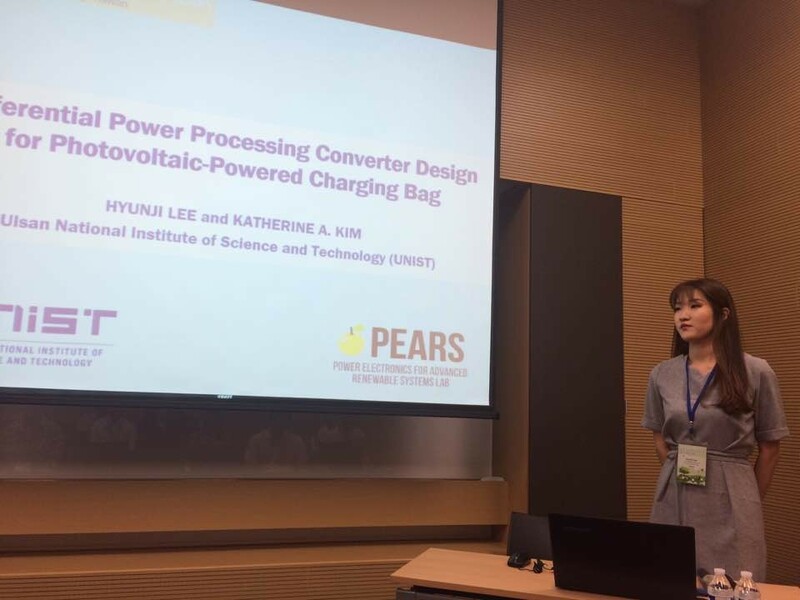 Hyunji Lee presented her research paper on “Differential Power Processing Converter Design for Photovoltaic-Powered Charging Bag” as shown below. 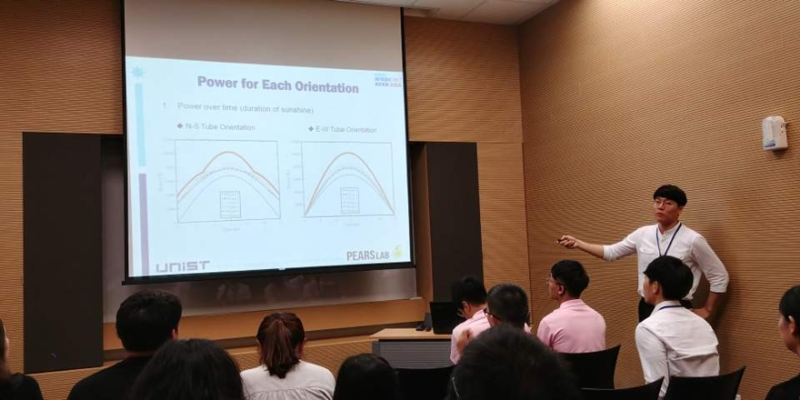 Kyoungjun Kwon also presented his research paper on “Photovoltaic Panel Configuration Study for Tube-Enclosed Transportation Systems” as shown below.